You are here: Home / Financial Advisors / How much is Financial Advice Worth? 401(k) participants might not know what to expect. So when you name your price they first anchor on the fee amount. So, now you have to convince them to “buy” into your product–advice. I also feel that many 401(k) participants don’t have a clue of how much they are paying in fees, and other charges. Plus with so much backlash about financial advisors ripping you off and the short term memory people have (recalling only the first decade of the millennium as the future long-term result of the market) they are reluctant. You are asking the wrong question–how much is financial advice worth? The question you should be asking is how much is peace of mind worth? Isn’t that way people buy insurance? It’s what is behind that peace of mind that makes it worth to pay for financial advice. People should not only see the value in the price of your advice but they should beyond a shadow of a doubt known that you have their best interest and you will get them to reach their financial goals–but they have to take your advice. Thanks for your comment Ornella, all good points for us to consider. Marketing this service typically involves two buyers, the plan sponsor and the employee. I think you are onto something as far as the question “… how much is peace of mind worth?” The last part of your comment is unfortunately one that all of us in the financial advice business need to overcome, and this is not all together a bad thing given the amount of financial fraud that we read about almost daily. I suspect that people look at financial advice a lot differently than hiring other professionals. They would likely tie that directly into the bottom line of what they are earning on their investments. So I assume many people get online to try to do their own research thinking they can come close enough to the same returns with the $400/year factored in. I’ve never personally paid for financial advice, but that’s mainly because I don’t have enough invested for it to be worthwhile. I’d definitely consider that route when my portfolio gets bigger, but I’d really have no idea how much I should be paying. Thank you for your comment and for visiting the site. Financial advice is partly about returns, but it is more about helping clients view their finances as whole in order to assist them in achieving their various financial goals. Our new service must be marketed to both individual plan participants as well as to the employer sponsors of the retirement plan. The value of financial advice is often the peace of mind that having a professional third-party viewpoint provides. Even the most knowledgeable do it yourselfer can lack the objectivity that is often needed to make those tough financial decisions. Paying for financial advice in my opinion for the general public is a pretty hard sell. The number one answer I get when I mention I’m a financial planner to the majority is “I’ll call you when I have some money”. The truth being that you will not have any money to invest unless you first plan and set a strategy to have money. Americans are great bill payers but horrible savers. Until this changes selling advice for a fee to the masses is a tough job. Very much needed though. I applaud guys like Dave Ramsey that are appealing to the masses with plain common sense, it is starting to catch on. It is unfortunante that basic financial planning is not taught in high scool and college. Tom thanks for your comment and for visiting the site. I mostly agree with you. This is a new venture for my partner Bill and I. We both feel that 401(k) participants are faced with a daunting challenge and need unbiased advice and not a sales pitch. That said as we move forward I suspect we will attract clients who are a bit older and perhaps a bit more established than the average, along with younger clients who understand the value of advice. I also agree with your comment about the need to teach this stuff in school, I’m fortunate in that we have three young adult kids who are pretty money savvy. If I was offered comprehensive financial planning at the normal rates that are charged before I started studying personal finance, I would have laughed my way out of the most respected fee-only planner’s office. “$100 to $400 an hour? $1500 to $3000 for a plan, no way!” I would have said. “You must be crazy, the guy at the bank looked at my retirement savings, the wife’s and my earnings, asked us about our goals and said, ‘well these are our 5 mutual funds, your risk tolerance matches this one’ and we took it, for free.” Of course we didn’t know that we paid a 4% front end load, plus the 1.5% fee to split the fund among mutual funds each charging another 1.5%. Same story with the variable universal life policies we bought from an insurance salesperson. Our of sight — out of mind; that’s the challenge anyone offering financial advice at a reasonable fee faces: competition that appears free (but is not). I don’t know what the answer is, but if $400 still gives people sticker shock try the supermarket approach and make it $399. If that doesn’t help, put the price next to the price of a comprehensive financial plan and give them something to compare it to. Short of a billion dollar anti-commissions advertising campaign, that’s the best I can think of. P.S. as a low fee fanatic $400 is the most reasonable price I’ve seen outside of web based advisers. Thanks for your comment and for visiting the site Ken. Your story with the bank rep and the insurance salesperson is unfortunately not uncommon. Not writing a check does make the “service” feel like its free. As far as fees go the rule of thumb I’ve always followed is that they should reflect the value derived by the client. As far as our new 401(k) service goes, $400 buys two services (priced at $400 each): We will meet one on one with the participant and give them specific advice on how to invest their 401(k) account annually. We will also sit down with a participant for up to 2 hours and discuss any aspect of financial planning that they desire (college funding, estate planning, etc.). We will offer as much advice as we can on as many topics as we can within that time limit. The meeting follow-up will be a brief email summary of what was discussed. No specific investment advice. In addition, for any participant from an organization we work with who desires our more conventional investment and financial planning services, we offer a 25% discount off of the fee schedule we filed with the State of IL. Good article and great comments. From my perspective, and I have been in financial planning since 1987, paying for good advice should cost because not paying for advice can be very expensive ( as highlighted by ‘Ken’ in his comments). Unfortunately there is a lack of education about the benefits of advice and many financial institutions have not helped the issue by having a complex fee structures that leave a sour taste once people work the fees out. Keep up the good work of informing the public and I’m sure people will be just as prepared to pay for a good financial planner just as they would pay for a plumber and their attorney. Colin thanks for the comment. I couldn’t agree more, I’ve seen the cost of bad advice and done more than my share of helping clients who have been the “beneficiaries” of this advice. The problem these days is that for the past twelve years the stock market has basically gone nowhere, so that is where peoples attitudes are. In their mind, why should they pay for something that has essentially produced nothing? While some advisors have out-performed, I think it is safe to say that the majority have not. Fee aversion (to varying extents) is symptomatic of the stock market’s “lost decade.” It is up to the advisor to show how he is different. How he (or she) can offer more than just the basic strategic quarterly re-balancing that currently dominates the advisor field. It is incredible how many investors do not have any exit strategy for example. This, along with more communication (hand holding in some cases) may well be necessary. Earning fees goes far beyond basic portfolio services. As we all know (but many do not practice) being a friend and truly caring about the client as well as his family’s changing circumstances throughout his life can go a very long way in providing value to a client that goes far beyond the account statement. Rich thanks for your comment and for visiting the site. Your last sentence is truly the hallmark of most advisors that I know and associate with (I’m a NAPFA member). I try to be a true financial quarterback for clients and I consider them to be friends as well. Beyond that I think you are right about the “lost decade” and its impact on the perception of many folks as to the value of financial advice. The sad part of that is that it really wasn’t a lost decade for those who had a decently diversified portfolio. As you say, good financial advice goes far beyond just the investment piece. With the looming retirement crises in this country I do see more people interested in obtaining help to get them to and through retirement. Rich I think you hit the nail on the head at the end of your comment. So many advisors only manage money. IMHO the value in a finanical planner is way more than just money management. Helping a person see the path they need to be on and the “why” they are invesing in the first place is so much more important than wheather they made 4% or 12% on thier investments. 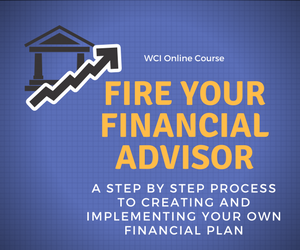 Most people immediately correate “financial planning” to investment advisor. They are two different types of people, they can be one person but if you only have one you need the other as well. A financial planner should be able to cross many disciplines, legal, accounting, investments, insurance, life, psychology, marriage counselor…….. to name a few. Well said Tom, I’d probably strike the “legal” part as I still recall many many years ago having the concept of “the unauthorized practice of law” hammered into me during CFP exam prep course that I took. LOL Other than that I am in complete agreement. Thanks for the comment and good luck. Its fantastic as your other posts : D, thanks for posting . “I catnap now and then, but I think while I nap, so it’s not a waste of time.” by Martha Stewart. Roger, great article. I have been trying to wrap my head around this since joining the RIA space two years ago. 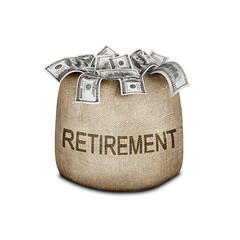 I enjoy working with 401K participants and advising pre-retirees. They are my bread-and-butter. So I have been trying to come up with a viable business plan to tackle this market (advising participants). I know there are several advisors around the country doing it quite well (Ric Lager comes to mind), each with a little different twist on how they execute. Robert thanks for your comment and the compliment. It is clearly a tough area to crack. Not only does one have to convince the participants that they need the help and that is worth paying for, there is the issue of the plan sponsor as gate keeper. Over time we feel this will prove itself to be a great practice area where qualified, unconflicted advisors can add tremendous value to the lives of many plan participants. Love to compare notes offline at some point with you. Most people will pay not because of anyone’s expertise or worth of that individual. They do it to get that ultimate result, peace of mind. No value can ever compensate against having a clear mind and of no worries. Thank you for your comment Deb. Great article. I reckon you’re onto something when you say “Is your financial future worth $400?”. This is a different way of framing the situation. I’ve been reading Drive by Daniel Pink and one of the things he talks about to get people motivated is to get them to picture themselves in the future benefiting from your product. This works well with products like financial advice that are largely intangible. My advice is to focus on the benefits to the client that your service provides, and to sell your experience in solving their problems. Allan thanks for your comment. I totally agree with regard to focusing on the benefits of working with a competent advisor. Thankfully enough folks do get it, and I’ve learned over the years to not worry about those who don’t. I have noticed that the market seems to be devaluing advisory services over the last couple years. We have many advisors on our 401(k) plans that charge completely different rates, but almost everyone of them has come down over the last two years by at least 10, some even 20-30 basis points. With the advent of automatic management and advisory tools, I see the future of advisory services turning towards rates of 20-40 basis points annually. The worth could definitely be greater than that (especially for someone who would otherwise make poor investment decisions) , but I think that is where the price will end up. Thanks for your comment Spencer. I suspect that you are right though at some point it will be interesting to see how and if quality wins out. The next sharp, protracted market downturn will tell us a lot.